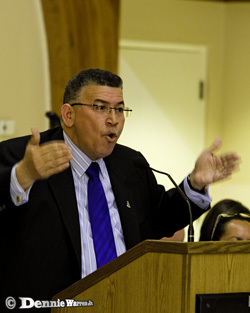 In the statement of claim received by Watsonon Monday 10 October, the premier, through his attorneys, states that the commentary published on 19 May suggested that Bush’s behaviour is comparable to terrorism, that he victimizes or will victimize civil servants and that he is opposed to the people's rights to freedom of speech. In June, Bush demanded an apology and the removal of the Viewpoint, which was written by a reader of CNS under the pen name ‘Bean Counter’. However, Watson responded to his attorney, Steve McField, saying she had taken legal advice about the contents of the letter of demand, and had been advised that the law protects freedom of speech, and that the article in question was a classic example of fair comment on a matter of public interest, the publication of which is protected by law. She also noted that the context in which the word “terrorist” is used in the article is clearly explained. Watson rejected the claim that the article was an unwarranted and defamatory attack on the premier, a position she still holds and is therefore prepared to contest the suit. “The premier appears to have missed the irony of asserting one’s support of free speech under the Constitution while simultaneously threatening legal action when faced with the exercise of that avowed right,” Watson said in July following the letter of demand. 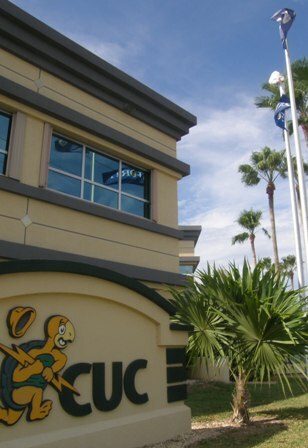 (CNS): Following recent comments in the Legislative Assembly about plans to take a new look at the license agreement under which CUC supplies power to Grand Cayman, the premier said Tuesday that government would be commissioning an external audit of the company. McKeeva Bush said no one could convince him that the high power bills people were receiving at the moment were a result of the extra 25 cents duty per gallon on diesel that his administration had imposed and he intended to prove government was not at fault. He questioned whether the increase in bills was down to CUC, which he said had “hedged and lost”, rather than the duty. Speaking on Tuesday evening at a public meeting in George Town hosted by the United Democratic Party, which appeared to signal the start of the ruling party’s 2013 election campaign some 18 months early, Bush took aim at the opposition, which he said was trying to make people think the high utility bills were all the fault of government purely for the purposes of political gain. The premier said government was forced to impose the 25 cent increase on diesel because it had no money as the PPM had overspent, and they were now trying to make political capital. He also accused the opposition when it was in government of allowing CUC to charge customers millions of dollars in the wake of Hurricane Ivan to cover the firm’s losses in the storm, despite having insurance, which was more than most ordinary people had. Bush said anyone “could talk because talk is cheap” but it was different when in government because you had to find the money. 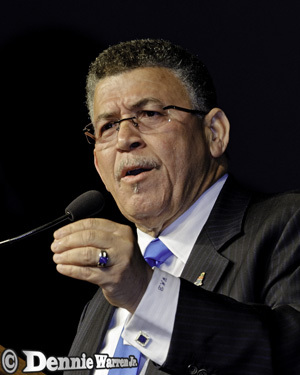 Bush told the more than one hundred people gathered at the Mary Miller Hall that, given the current situation with CUC, no one could convince him that the bills were government’s fault. Bush said that Cayman may well have one of the best power services in the Caribbean region and government was happy to have a company here such as CUC, but the country pays dearly for it. He also said that world energy prices were high and this was another reason why bills were expensive but why they were not the fault of government. The premier spoke about a number of other issues during the meeting but focused heavily on the faults of the PPM, making comments that signalled the campaign had started. He saidthe opposition would not take responsibility for what had happened when they were in power or admit what they had done wrong and say sorry. “They would rather talk about corruption and point their fingers and make you believe that we are the worse things on earth,” he said. “But you put them in there again and ‘dog eat your supper’ hear what I say,” the premier told the audience. (RBC): RBC Royal Bank of Canada is sponsoring fundraising walk/runs across the Caribbean to benefit the RBC/RBTT Children’s Cancer Fund. In Grand Cayman, the walk will start at 6:30am and the run will follow at 6:45am from the RBC Royal Bank of Canada House at #24 Shedden Road in George Town. RBC invites community members to join RBC employees in the event to raise funds for this important cause. 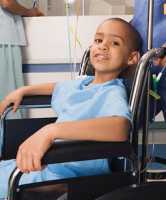 “Pediatric cancer is a terrible disease and families often need financial support when their children are treated,” said Jason Waters, Vice President and Country Head of the Cayman Islands “Through these fundraising events across the Caribbean, our goal is to raise at least $25,000 from this collaborative effort. The cost to walk or run in the event is CI$25 for adults and free for children under 12. The registration fee includes a T-Shirt and water bottle. Prizes will also be awarded for the top 3 fundraisers and the top 3 runners. To obtain a registration form, download the attachment below or stop by any RBC Royal Bank of Canada banking centre. For more information about the fund, go to the RBC/RBTT Children’s Cancer Fund website. Donations are gratefully accepted. McGaw, as was the case in all five recent gang related homicides, had been shot several times and left for dead in John McLean Drive. The twenty one year old man was the fifth victim of a spate of gang related violent shootings and what the police have dubbed assassination like killings which occurred last month. The first three of the five victims gunned down over an eight day period were killed in West Bay but the violence split over in to George Town and eventually East End. Robert Bush, Andrew Baptise and Preston Rivers were all shot multiple times including at least one gunshot to the head. Jason Christian also received at least one gunshot wound to the head and several others to the body when he was shot and killed while sitting in a van in Crew Road. His passenger Kevin Montague was also shot during the same incident but despite receiving four gunshot wounds managed to stagger to a nearby police car where he was rushed to hospital. Montague has so far survived the attempted murder and is still receiving treatment overseas. McGaw was the last victim in the frightening escalation of gun related killings and he was believed to have been shot as he walked along the road in his home district but killers who were inside a vehicle. 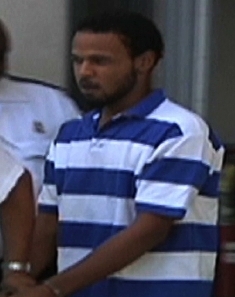 So far no details of the crown's case against Scott, who is represented by defence attorney Lucy Organ, have been revealed and the teen was remanded in custody after his appearance as the magistrate indicated that he was unable to hear the bail application in summary court. If anyone has any information which could assist the police in relation to this enquiry, or other gun related matters in the Cayman Islands, they should call the confidential tip-line 949-7777 or Crime Stoppers 800-8477 (TIPS). (CNS): Tough issues facing Cayman’s trusts industry such as insolvency, divorce and disclosure will be up for discussion this Friday at Mourant Ozannes first ever International Trusts Conference. International speakers from the law firm’s Jersey, Guernsey and London practices will be joining forces with local speakers at The Ritz-Carlton to look in depth at hurdles faced by the industry, such as whether the industry can survive in light of the increasing burden of disclosure being heaped on international finance centres such as Cayman by international regulatory bodies. The section is entitled: Are the IFCs flogging a dead horse? 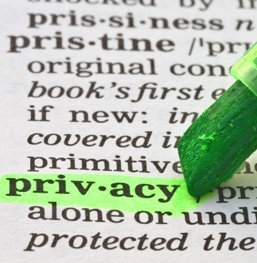 – Confidentiality in the light of the increasing burden of disclosure, and the chair of the event will be Shân Warnock-Smith QC, from ICT Chambers, Cayman and 5 Stone Buildings, London, a well-known figure to practitioners within the industry. The panel tasked with discussing the subject is Alan Milgate from Rawlinson & Hunter, Rob Shepherd from Mourant Ozannes, Ziva Robertson from Withers and Julien Martel from Butterfield. Co-chair of the event and partner at Mourant Ozannes in the Cayman Islands, Morven McMillan, who heads up Mourant Ozannes’ trust team, says this is will be one of the hottest topics of the day. “Out of all the issues we have detailed for discussion, this has promoted the most feedback so far,” she confirms. McMillan says another topic that is becoming increasingly relevant to the trusts industry given these tough economic times is the problem of insolvency. Sarah Higgins, Head of Family at Charles Russell in London will join with Mourant Ozannes’ Lucy Diggle to look at trustees and divorce and what happens when trustees of offshore trusts get dragged into divorce proceedings in the UK. Similarly, through a case study, the conference will examine what mechanisms the long arm of the US Courts have at their disposal to reach down to offshore trustees. (Reuters): World leaders are likely to give their Financial Stability Board more clout next month to implement a welter of new financial rules as cracks and slippages emerge in the face of strong lobbying by banks. The task force, made up of regulators, treasury officials and central bankers from the world's top 20 economies (G20), has increased its staff to 20 in the past year but is still tiny compared with national watchdogs and given the work it faces. "It is time to make the necessary changes to the governance of the Financial Stability Board so as to underpin its monitoring function," European Commission President Jose Manuel Barroso and European Council President Herman Van Rompuy said in a letter to other EU leaders on Monday. Two G20 sources said the plan is to give the FSB a stronger "institutional underpinning" with its own resources. The aim is for the board to become more akin to the so-called Bretton Woods institutions — the International Monetary Fund and World Bank — who wield considerable clout, but it is not expected to have an international treaty as its basis. Currently the FSB depends on the Bank for International Settlements in Basel, Switzerland, where the board is based. "The FSB has no resources of its own and that question is of course related to the issue of its capacity to monitor implementation of rules," a G20 source said. (CISC): Four members of the Cayman Youth sailing Team recently travelled to the Bahamas to take part in the Bahamas National Optimist Championships. The team have been sailing Optimists for less than a year and are used to racing against just a handful of others. Coach Raph Harvey felt that they had been training hard and the time was right to test them against the more rigorous challenges posed by an overseas regatta. “There is a huge difference between racing against six other people that you know well, and starting a race with 80 other boats that are unknown to you”. The Optimist sailing dinghy is one of the most popular one-design sailboats for youth sailors in the world and is ideal for both novice and experienced sailors up to the ages of 16. 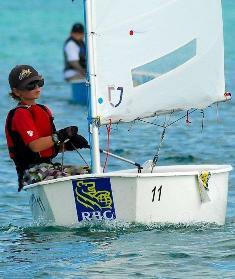 The Bahamas National Optimist Championships is the most anticipated event on the Bahamas Sailing Association calendar. 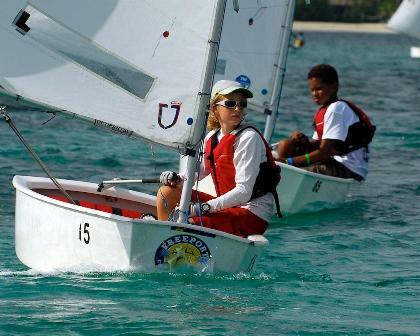 The regatta was hosted by the Grand Bahama Yacht Club in Freeport, Grand Bahama on the 1st and 2nd of October 2011. Seventy six sailors came from Grand Bahama, Abaco, Eleuthera, Nassau, Long Island, Florida and UK. The sailors were divided into two fleets, Championship (experienced sailors) and Green (sailors who have been sailing for less than a year). In the Championship fleet from Cayman were: Florence Allan and Pablo Bertran who sailed in the red fleet (age 13 to 15). Florence sailed fantastically well to come 5th overall, 3rd in her age range and top girl overall. Pablo sailed a consistent regatta finishing 11th in his fleet and 17th overall. Allena Rankine sailed in the younger division, the blue fleet, and took 5th spot and 2nd girl overall. Finley McDougall who has only been sailing for a year was placed in the Green fleet. He quickly established his dominance and sailed extremely well taking 1st place. The conditions were light and very shifty on both days. Winds ranged from 4 – 9 knots and medium chop. Races were generally 40 – 45 minutes long and required a lot of patience from the kids. Coach Raph Harvey was thrilled with all the results and said, “For our sailors to take 5th, 9th and 17th out of 34 sailors in a national championship was much better than we had ever hoped and for Finley to take 1st place out of the 45 sailors in Green fleet is just outstanding. I think Finley was able to excel because he has a never give-up attitude and is never put off by not winning. He learns more every time he goes out on the water”. Bahamas sailing legend Jimmy Lowe also commented on Finley, “It’s the first time I’ve seen the lad but he already is showing the potential to do what it takes to go far in this sport of ours”. Praise indeed from the usually taciturn Mr Lowe. In summary, Coach Raph outlined what lies ahead for these young sailors, “Now that the kids have had a chance to measure their sailing against some other sailors and prove to themselves that they can compete with the best, we will be able to intensify our training for the next five months in preparation for the upcoming Western Caribbean Optimist Championship to be held in Grand Cayman in March 2012 as part of Race Cayman. I have to say a big thank you to all who have supported the programme not least Coaches Kelvin Browne and Becca Calvert, all at the Cayman Islands Sailing Club, the parents of our Optimist sailors and Richard Flowers who helped us build the fleet”. Speaking at a press briefing on Friday with visiting senior officers from the UK, the commissioner of police (CoP) spoke about the challenges of arresting gang members under current legislation. Baines spoke about the problem of the gang laws, which includes provisions that specific tattooes or colours can deem people to be gang members. He said trying to arrest these gang members for congregating was very difficult as it was not possible to prove they are planning to commit a criminal act. Baines said the law was insufficient. “There has not been a single prosecution under gang legislation,” he said. Baines spoke about amending the firearms law to give police more practical legislation that officers can use to arrest and charge people. The barriers presented by the need for warrants before police can search homes where they suspect guns may be hidden needed to be addressed, he said. Baines pointed out that police can search homes without a warrant when they suspect drugs could be at a property but they do not have the same powers in relation to illegal guns. He also said in circumstances where firearms are found at a premises the police must prove that the suspect is the owner or user of the guns. The commissioner said that the burden of proof needs to switch so the suspect has to explain the presence of any weapons rather than the prosecution having to prove the weapons belong to, or are being used by, the resident of the place where they are found. Baines pointed to the importance of the right legislation as he said all of the social efforts, the extra cash for the police and other moves to fight crime would be “meaningless” if the police could not carry out their investigations lawfully. Both the police and legislators have been discussing possible amendments, the commissioner revealed, and recommendations have gone to the attorney general. Baines said he hoped the changes would come soon. “There is no lack of appetite to move forward on this,” he added. However, in the local legal profession a number of attorneys have voiced concerns about the trend towards altering of laws that trample on the public’s rights and freedoms in order to increase the chances of the prosecution getting a conviction. Many say that the legislation is not the problem but it is the work of the police and prosecutors which needs to improve. One local attorney expressed the views of a number of lawyers when he said that changing laws to aid weak prosecution and poor police investigations will not stop the crime, just reduce the people’s rights. “Oppressive laws can only lead to further and more extreme acts of criminality,” Peter Pollack warned. He pointed out that the problem of passing such an amendment would be unveiled once an innocent friend, relative or child is arrested. “If a firearm is found on a bus, is everyone to be arrested or just the driver?” the lawyer asked rhetorically as he pointed out the potential pitfalls in this type of legislation if it were to be passed. “If a firearm is found in a community meeting is everyone to be arrested or just the community leader? If the commissioner and 14 UK officers are on a North Sound cruise and an illegal firearm is discovered, are all to be arrested? We are already on the slippery slope and the leaders of non-performing institutions should be stepping aside instead of deflecting poor performance,” he added. The criticisms of the institutions have come hard and fast recently after a number of acquittals in gang related killings and fatal shootings, which some say were the result of either poor evidence gathering or poor presentation of the cases. Both the commissioner and the governor have spoken publicly on the need to review how evidence is being gathered and preserved and how police cases are being put together and ultimately presented in the courts. 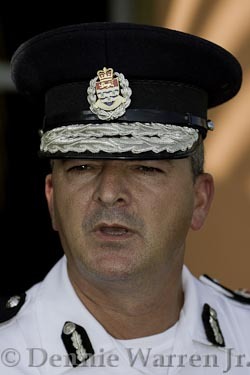 The authorities have suggested that an expert from the Canadian police service will be coming to Cayman in the near future to review those elements of criminal cases and the commissioner is also seeking to recruit forensic experts into the RCIPS. (BBC): Around the world, grassroots opposition to tax avoidance is on the rise. But a survey shows that all but two of the UK's biggest 100 companies have subsidiaries in tax havens, from the Cayman Islands to Singapore. So is big business out of step with public opinion? In recent months, a loose coalition on "tax fairness" has emerged, uniting angry taxpayers, business ethics pressure groups and development NGOs. The focus is now on tax avoidance – legal arrangements to pay less tax, sometimes using complicated financial structures – rather than just illegal tax evasion. One of the campaigning groups, charity ActionAid, has just released data that shows, it says, the "addiction" of the FTSE 100 – the UK's most valuable companies – to tax havens. The data should have been publicly available, ActionAid says, but in many cases wasn't – the charity obtained it by filing complaints to Companies House. Then it counted how many subsidiaries each of the 100 companies has, and the proportion of them that are located in a tax haven. Of the FTSE 100's 34,216 subsidiaries, about a quarter – 8,492 – are in tax havens.